Never has been compulsory, when the cities lies at the monster’s feet there are left the mountains. And boys, be in nothing so moderate as in love of man. A clever servant, insufferable master. There is a trap that catches noblest spirits, that caught they say ­ God, when he walked on Earth. 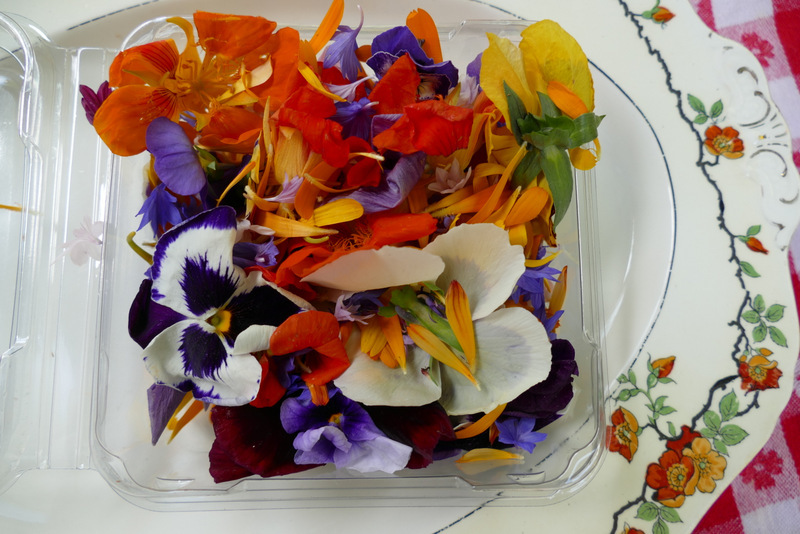 And OK, i couldn’t find a recent photo of something rotten, so here’s an edible flower garnish plate put out at Stephen’s fourth of July garden party. This was in Tamar, poems written 1917-1923.